This might be slightly off-topic but was hoping with the knowledge here folks might be able to help. My wife and I recently set up our backyard with some soccer goals so our boys can play with their friends in the yard. 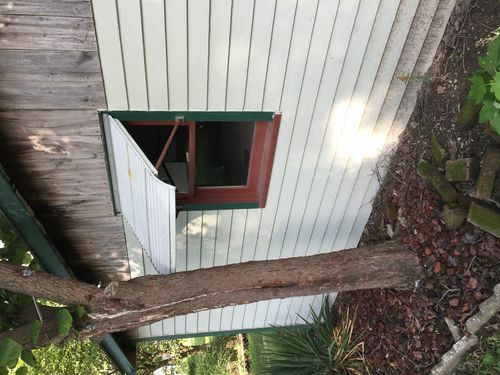 There are several windows in the yard. I purchased some plexi sheets from Home Depot and covered a few and was planning to get to the rest. The thickness was approximately 1/8”. In the meantime, they shattered the plexi covering one of the windows and actually broke an uncovered window. 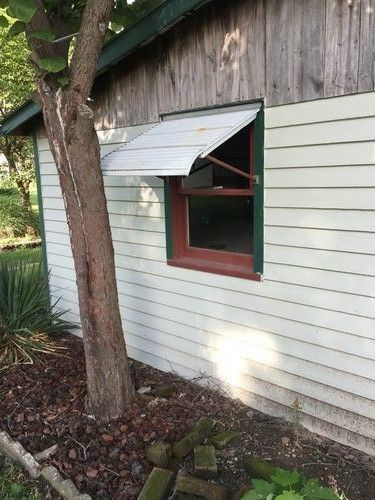 I’m wondering about my options to protect the windows before there’s any more damage. If I remember correctly, Home Depot doesn’t have thick enough sheets in the dimensions i need. I found a supplier in my area (northern NJ) that carries thicker sheets. I’m thinking 3/8” would be thick enough—they kick the ball really hard. Let me know if you agree. That’s alot of $, more than I wanted to spend. Do I have any other options? We don’t want shutters since it will block the light and prefer not to have worry about the boys forgetting to open and close. Any other options that are more cost effective? Shutters are probably going to be the only other option, honestly. Either that or motorized metal shutters like stores use to cover their doors at night. Nathan, I’m thinking of how my father would have solved this problem and it would likely have been a one and done solution because he could swing a mean belt and it always got my attention… but that’s the old school I suppose. For $500 i’d like to think it would work but it depends on how you’ll mount to have zero flex. You may need to put another frame around the window to increase the amount of space between your protection and the glass.. Maybe cover with 1” PT lattice, or the aluminum door dog screen savers??? not sure what’s best,,,, I keep coming back to the belt to tell you the truth. Security bars would do the trick… if you don’t mind the look. Use Lexan. It’s a polycarbonate material (clear plastic) that it unbreakable. 1/8” would be strong enough or 1/4” just to be a little stiffer. I wouldn’t bother with 3/8 plexiglass. The sun will cause Plexi to turn opaque and brittle over time. Wrought iron can look good in many application, and does not deteriorate if maintained. Added security would be an asset at the time of resale. Edit: sorry for rhe sideways pic. If you have enough space I would just install netting. You should be able to set it up for under 100 bucks. Just need a guide wire to suspend it from. You can set it up with a pulley and be able to raise and lower it as needed. Use Lexan. It s a polycarbonate material (clear plastic) that it unbreakable. I wouldn t bother with 3/8 plexiglass. Lexan is not unbreakable. I dropped a Nalgene bottle onto a rock from about ~25ft and it broke in half. Possibly some combination of prolonged UV exposure, moisture, and heat? Certainly it’ll be a match for a soccer ball, but I’m not sure how it’ll hold up over time. Certainly it ll be a match for a soccer ball, but I m not sure how it ll hold up over time. A Nalgene bottle is not 1/8” thick. We’re talking sheet goods not blow up bottles. Obviously you know nothing about poly-carbonate sheet if you think a soccer ball could possibly break it. I worked in a plastic shop for 2 1/2 years. I’ve tried breaking Lexan with a hammer and it only dents. Show me a piece of 1/8” lexan that you have broke. AK, you da man, thanks. 1/4” plywood oughta do it. Deadherring if the place your talking about is Acme Plastics they are great. Tell them what you are trying to accomplish and they will tell you what you need they will most likely steer you towards lexan.